You are here: Home / POSTS / why eat keto? why eat keto (beyond weight loss)? 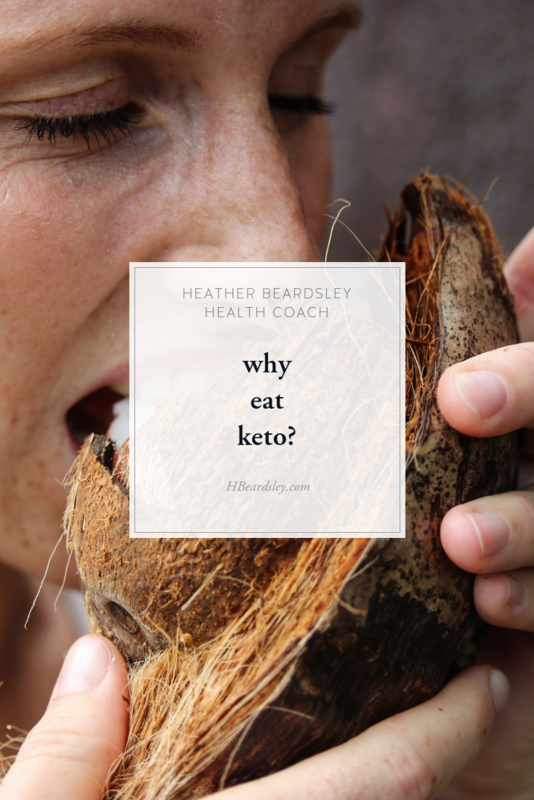 Many people dive into eating keto before they are really sure about their WHY. Only looking at the keto way of eating (woe) as a solution for weight loss misses so many other long-term benefits of this lifestyle. It's important to understand the wide-ranging and very compelling health benefits that come from restricting carbohydrate intake for the human body. Those who eat keto for the long-term health benefits (beyond temporary weight loss) are the most successful, even if they start keto to lose weight. Keto is a way of eating (woe) that requires that you pay attention, put the time into educating yourself, and have the ability to be consistent and patient over the long-term because eating keto signals sweeping changes in the way your body processes and burns fuel that lead to other beneficial system wide changes in hormone signaling. If you are looking for a quick way to lose weight & then plan on going back to being a sugar burner, then I suggest you look elsewhere for a solution because your results likely won't last, and more than that, the significant health benefits won't have time to kick in. That being said, I think it's okay to start keto being unsure if it really is something that you can sustain. Honestly, that's how we ALL begin keto. All I'm saying is to just keep an open mind and definitely commit to a minimum of 60 days so that you have a chance to physiologically feel all of the benefits of adapting your body to burn fat for fuel. There are SO MANY benefits beyond an effortless way to control your weight that if I listed them all here you probably wouldn't believe me. This is something that you just have to experience for yourself. At the very least set yourself up for success by spending some time asking yourself if keto right for you, do the research, set aside time for meal prep, and know what to expect. I have a lot of resources for you so I hope that you take advantage of them! Ready to learn how to start keto? Click the button below to get started. If your gut is telling you that keto is way too restrictive, then please know that the Keto woe is just one type of a low-carb lifestyle. 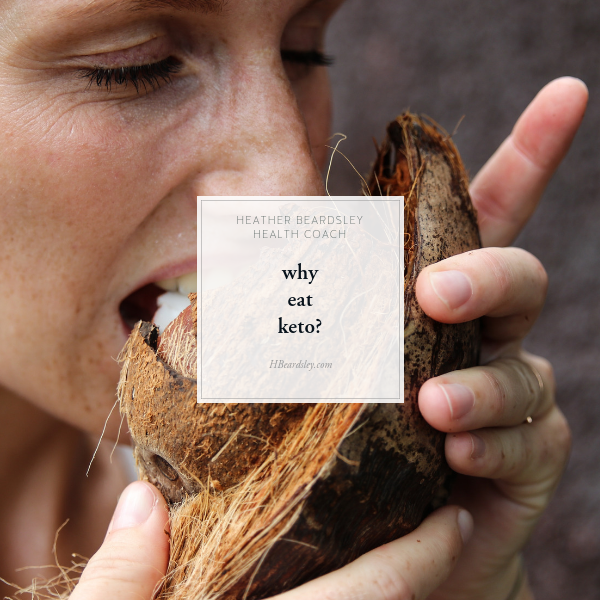 If you are looking to stay healthy but don't necessarily have weight to lose or a health issue like type 2 diabetes, then a primal or paleo approach can give you some of the benefits of keto with less of a carbohydrate restriction, so I suggest you look into which approach is right for you before you try keto. Otherwise, if you're fully onboard the keto train, my suggestion is to educate yourself about keto by reading the entire keto 101 series. It has all of the information you need to know to start feeling your best-fast! And the best part is that it's all FREE. If you work best with and could use support in your journey to health, have a look at my health coaching programs. I'm sure there is an option that perfect for you! Previous Post: « what is keto?